Advent is here and there is no officially no denying that Christmas is coming. We started to decorate the house today and it does already look like a glitter mountain and a fairy light factory had a few drinks and got frisky!! Also why do I feel the need to burn endless candles at this time of year? The house is stinking of cinnamon and mulled wine right now – unfortunately not of the drinking variety. I wouldn’t normally do the tree this early as I usually get a real tree and they just look dreadful by Christmas Day if they go up super early. However, next Friday we are hosting parents drinks for the year one class so I thought I’d best get in the spirit and start chucking up that glitter! I might sound a bit Christmas grinchy so I do apologise, but the kids sucked every bit of fun out of tree decorating as they were tired so they just weren’t really in the right frame of mind for it. They have all been really quite unwell this week so it might just have been a bit much for them. Anyway it was a bit hectic to say the least so I ended up having a glass of wine and slapping on the Christmas tunes to try and up the festive cheer about the place. I actually feel a little bit ‘blah’ about Christmas this year and I think that is just because this term (since September) seems to have gone by so fast. You know the drill; I have been running along on the treadmill of getting everyone where they need to be at the right time and I just don’t stand still enough. It has felt like time is passing me by and I don’t like that feeling. I just want to hold onto every minute with these crazy little people and yet to steal the words of ABBA its seems like they are slipping through my fingers sometimes…. My kids have the most beautiful hand made advent calendars that my mum made for them. They make the best decorations too so they are downstairs. I couldn’t trust them with chocolate in their rooms anyway. December the 24th would totally arrive on the 1st December if I did that. 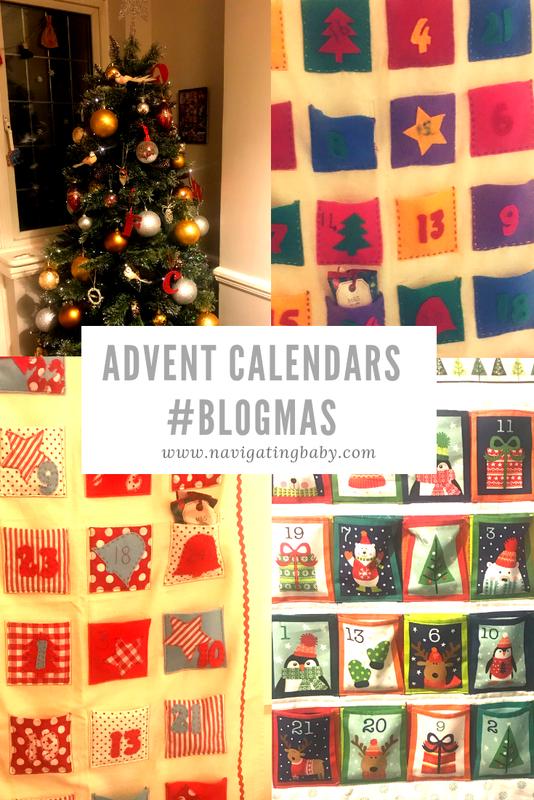 This year the kids also choose to spend some of their gift money from their great nanny on Playmobil and Lego Advent calendars so they are getting a little gift everyday. I have always stayed away from these in the past, but they saw them and wanted to buy them so I agreed. Let’s see how it goes…. Oh don't!! I can hardly bear the thought of them leaving home. Although ask me again at 8:45am when they are supposed to be leaving for school and I might feel differently!